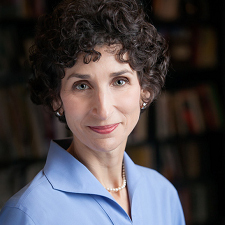 Jodi B. Segal, MD, MPH is a Professor of Medicine at the Johns Hopkins University School of Medicine, where she practices general internal medicine. She also has appointments in the Bloomberg School of Public Health in the Departments of Health Policy and Management and in Epidemiology. She was an associate director of the Johns Hopkins’ Evidence-based Practice Center funded by the Agency for Healthcare Quality and Research and has been involved in large scale systematic reviews since 1998. She has been a leader in comparative effectiveness research nationally and developed the first course offered in the U.S. in the field. She was awarded a PhRMA Foundation award to develop a Center of Excellence in Comparative Effectiveness Research at Johns Hopkins. She is an associate director of the Center for Health Services and Outcomes Research, where she works closely with students and faculty doing outcomes research using large datasets including Medicare data and commercial claims data, and serves on the Medicare Evidence Development and Coverage Advisory Committee (MEDCAC).